Happy Spring! One of my favorite meals this time of year is a tasty salad loaded full of pretty, and fresh produce. I like to add a tart, creamy cheese, and a homemade vinaigrette with raw honey for a truly yummy experience this season. I’m a huge fan of mason jar salads. I can prep ahead of time, and just grab and go when I need a good salad; like this Spinach Berry Salad with Lemon Poppy Seed Dressing, of course. 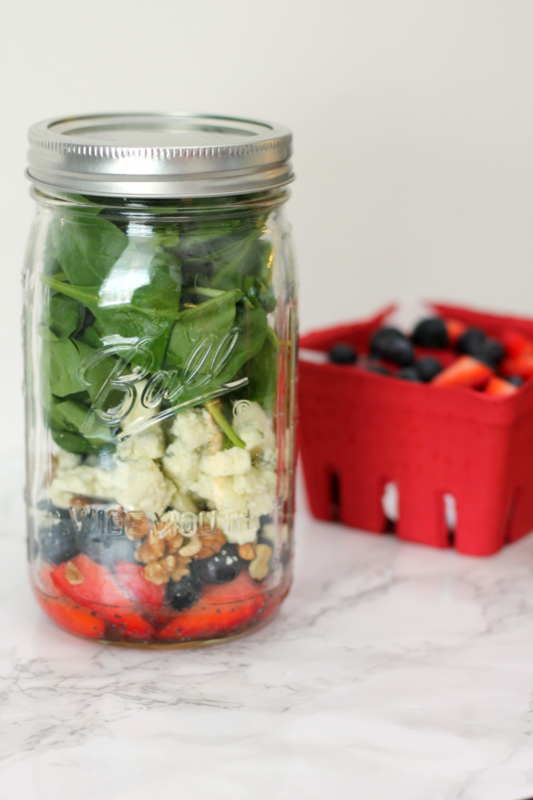 Stored in a mason jar, this salad will last up to five days. 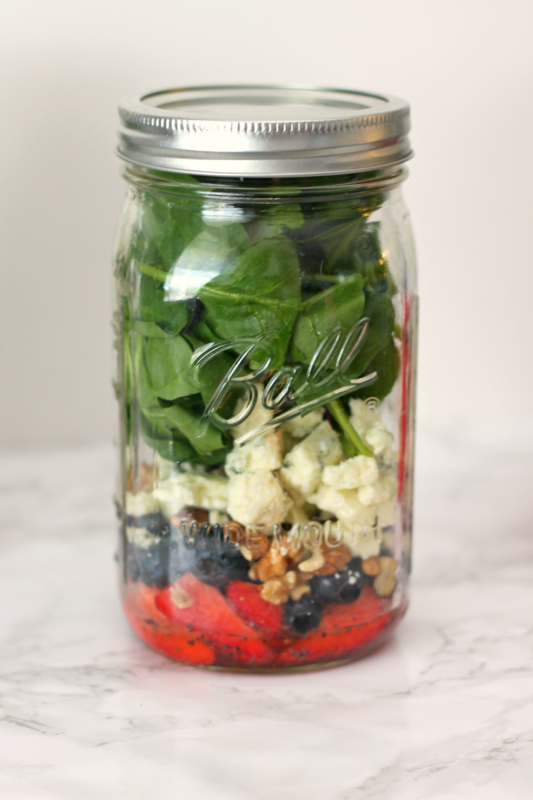 Mason jar salads are also perfect for picnicking! Prepare in advance, and everyone will think you’re just the best – I promise! First, whisk all dressing ingredients together to make a vinaigrette. 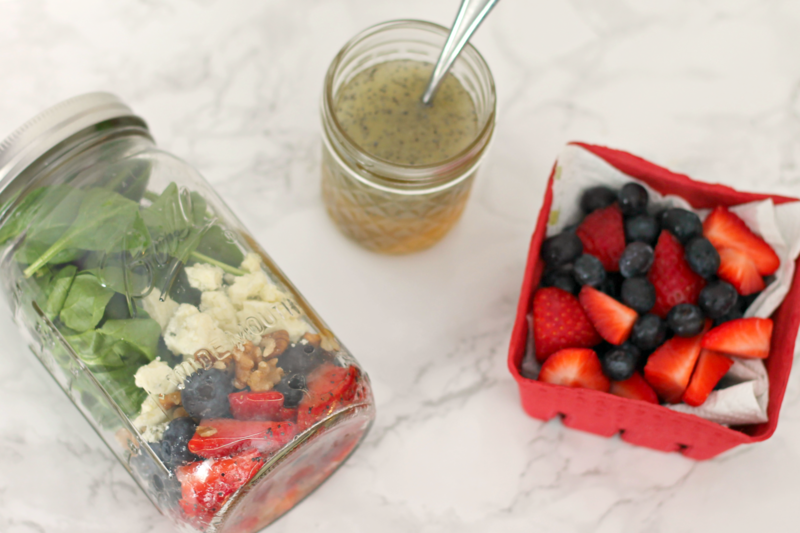 To prepare in Mason jars, assemble in the following order: 2 tbsp Lemon Poppy Seed Dressing, handful of strawberries, handful of blueberries, 1 tbsp walnut pieces, 1 tbsp feta, 1 cup Fresh Baby Spinach. Makes 6 salads in Mason jars. Enjoy! The post Spinach Berry Salad with Lemon Poppy Seed Dressing appeared first on The Flair Exchange®.